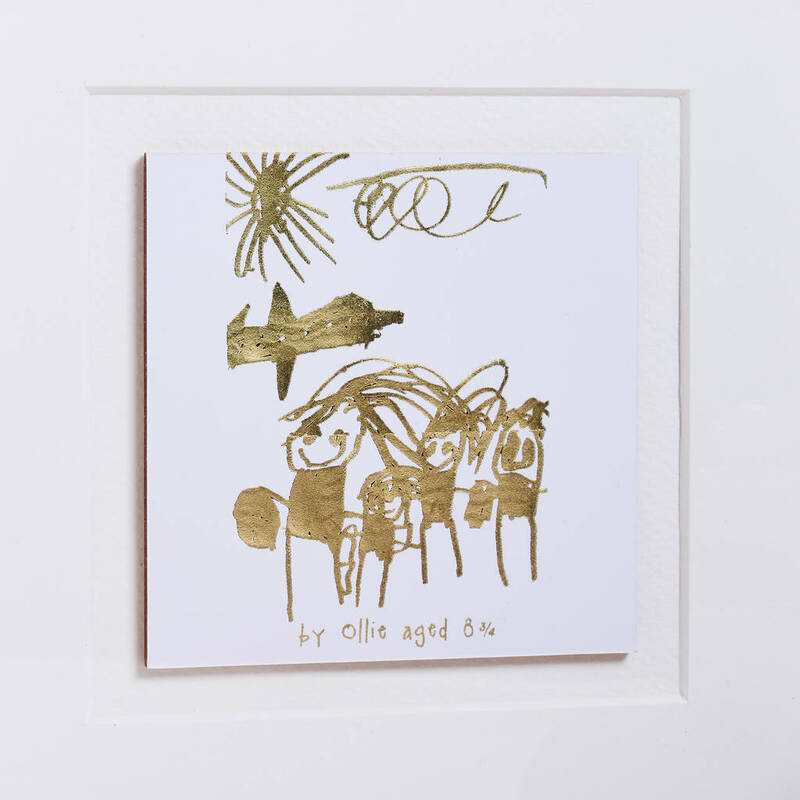 A wonderfully unique personalised gold foil drawing picture with your little one's very own masterpiece. Make one of these gorgeous gold foil pictures completely unique by personalising it with a drawing from the little creative genius in your life. Send a high resolution scanned image of your artwork alongside your order and we'll take care of the rest. 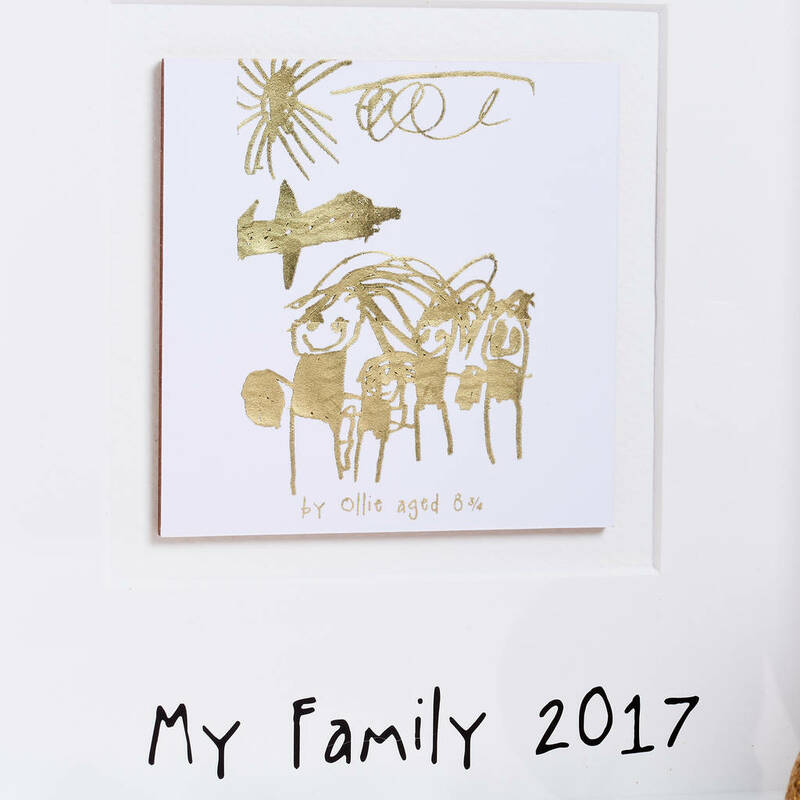 A perfect mothers or fathers day gift, choose to purchase your picture framed or unframed. 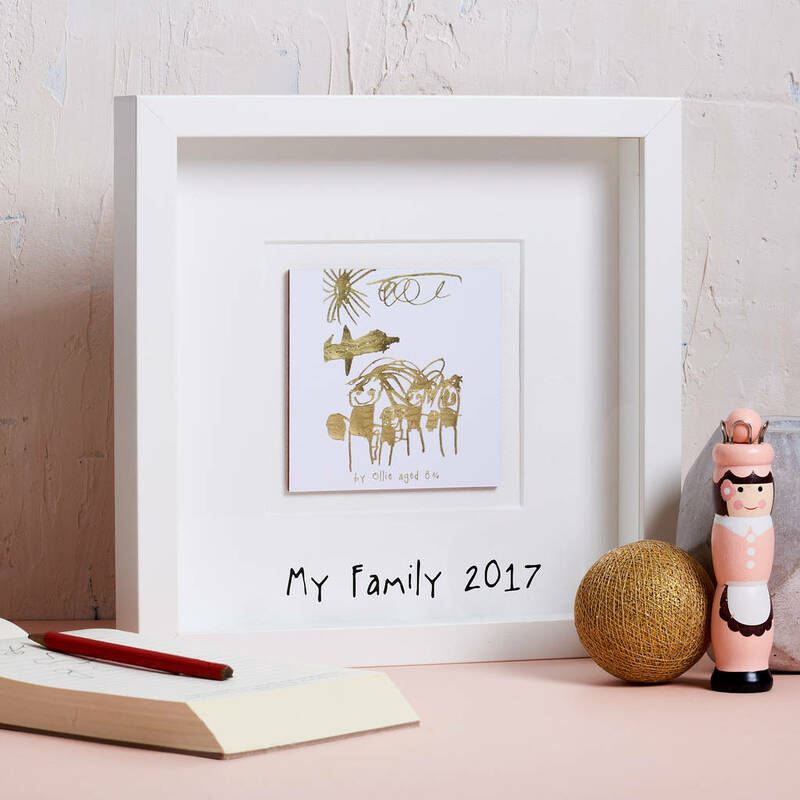 There is also an option for personalised text on the front of your frame. Wooden frame with front protection in shatterproof plastic makes the frame safer to use. Inside picture mount measures 12cm x 12cm.